She's Fantastic: Marvel Universe DAGGER! Marvel's own Lady of Light finally gets some love in the 3.75" Marvel Universe line. 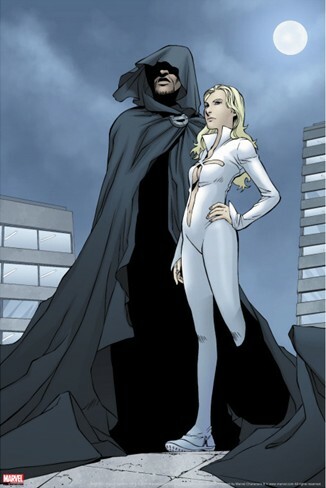 Of course, she's super-hard to come by as a shortpacked variant of her partner Cloak, but at least she was made. Ironically enough, I was unable to find Cloak in time to photograph the pair for this review. I had seen him in the stores pretty regularly, but I wasn't going to buy him until I was sure I could get Dagger. You know how it goes. As soon as I found her, he was nowhere to be found. 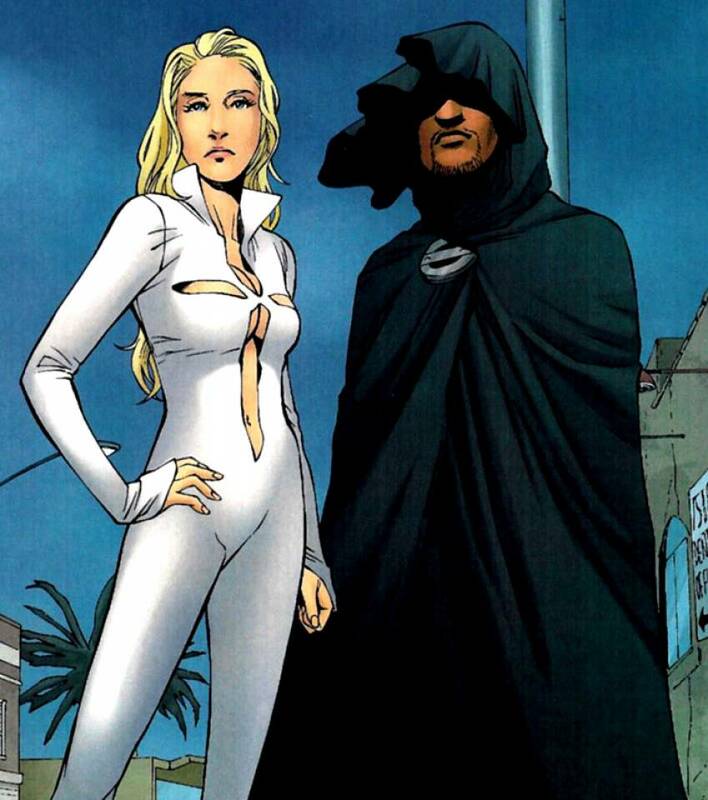 Cloak & Dagger are such a classic superhero duo. They represent duality, isolation, and the harsh side effects of drug experimentation (hey, it was the eighties). Ty Johnson and Tandy Bowen were teenage runaways who were kidnapped for experimentation of a deadly synthetic heroin. 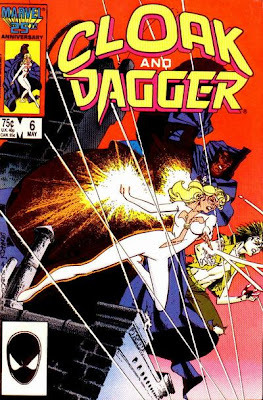 Tandy and Ty, however, were mutants (in the retconned version) and these experimental drugs triggered their mutations creating Cloak & Dagger. 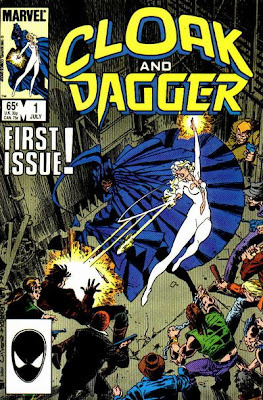 Cloak controlled a dark portal that swallowed up anyone its path, and Dagger radiated light (and projected "daggers" of them) and because of this light could successfully navigate the dark portal. Drug pushers didn't stand a chance. Dagger is (mostly) cast in that great white pearlized plastic that I loved on Moonstone this summer. 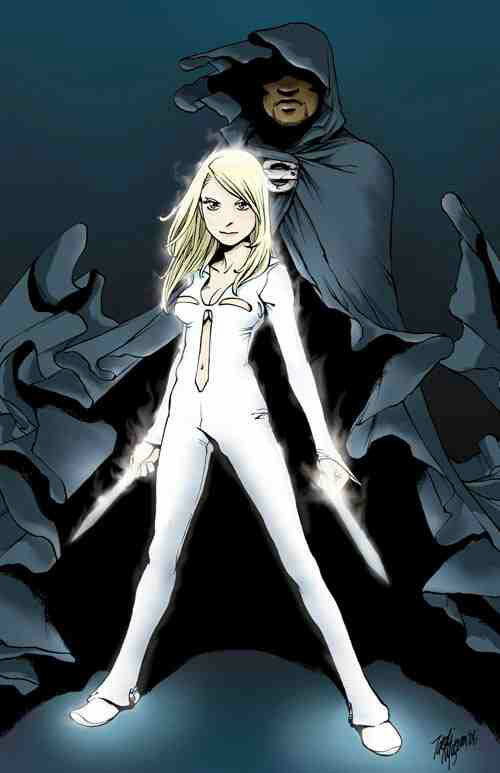 I hope that upcoming white Phoenix figure gets the same treatment. 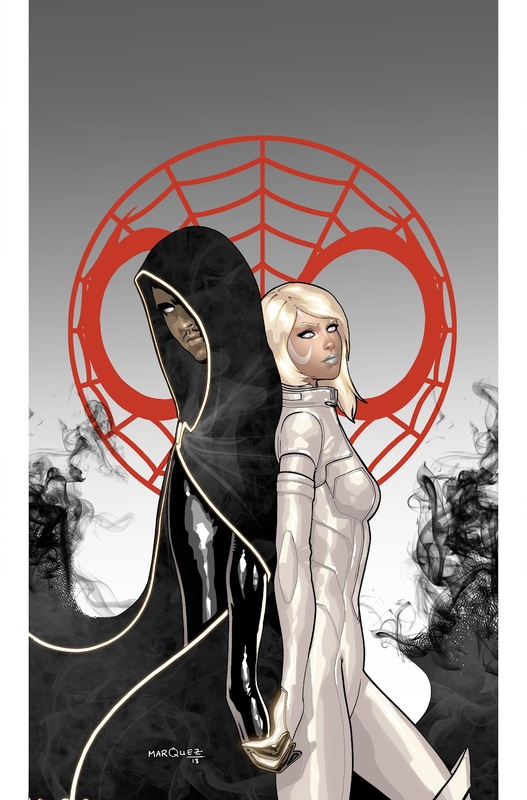 Something I love about Cloak and Dagger is how they keep reappearing unexpectedly in all my favorite books over the years: New Mutants, Runaways, and most recently Ultimate Spider-Man (among others). They're my favorite "special guest stars" ever. Plus all my favorite artists have drawn them at one point or another. That's an awesome perk. LOve Cloak and Dagger. They are the classic simple design that looks great and love in comics. Ther are not anough representations, so this set is a must for me. Yeah I want to get all the figures of them! They're timeless.